Australia has a shameful record of biodiversity loss, with the highest rates of species loss among developed countries. In New South Wales, 100 animals and plants have become extinct since European settlement and nearly 1,000 are at risk, with 59 percent of animals listed as threatened. We have lost more than one-third of our native vegetation and almost all of our rainforests. Loss of biodiversity affects everyone, given its implications on climate change, food security, air and water, especially impacting our future generations. 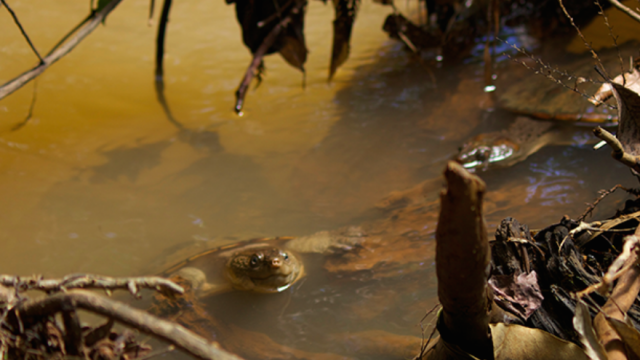 Regardless of whether publicly or privately owned, biodiverse land must be protected from destructive land clearing. The community cannot support a return to rapid native vegetation loss. Biodiversity is under threat from the forestry industry. Its 20 year history has already devastated the NSW forests, and current logging levels are unsustainable – yet the industry wants to intensify logging in areas previously unlogged. Logging of biomass from state forests to generate electricity has already been approved, creating an incentive to sell forestry fuel for power. Vital controls that reduce impacts on soil, streams and threatened species during logging operations in the state’s coastal forests were up for review last year, with grave concerns that industry is driving changes. The four specific coastal integrated forestry operation approvals could be replaced with one broad approval that would apply to all logging areas. Detailed and prescriptive rules would be replaced with broadly stated high-level principles. Pre-logging surveys which currently identify threatened plants and animals would be abolished. There will be a trial to allow logging on very steep slopes on the state’s North Coast. Logging was banned on slopes greater than 30 degrees decades ago due to serious environmental destruction, including landslips and soil washing into rivers. Logging steep slopes causes soil erosion, water pollution, including hydrological changes in catchments, weed invasion and increased flood impacts. The trial will be in areas that provide native species habitat in tree hollows and areas of strong koala populations. The koalas are already under threat from habitat fragmentation, disease and inbreeding, and they use the steep slopes of the North Coast for feeding and as corridors between colonies. The logging industry wants to use cables to clear-fell these steep slopes – a technique where cables are dragged up slopes to remove all of the trees. It is a highly intensive and destructive operation and must not be permitted in native forests. Native forests do not recover from logging for hundreds of years; we must work to transfer the industry to plantation logging with forests protected and transferred to national park. There is growing community concern about undeveloped Crown Land, particularly travelling stock routes and reserves. This includes a network of about 700,000 hectares across the state, providing significant remnant habitat for threatened species. Last year’s Crown Lands White Paper supported transferring this land to councils and allowing them to sell, subdivide and develop it. Intact bushland should be held in public trust and protected for its biodiversity value. New South Wales has rich marine biodiversity that needs protection. Climate change, ocean acidification, pollution, overfishing and lack of safe havens for marine life to recover and rebuild are major threats, and 45 aquatic species and communities in New South Wales are listed as vulnerable, endangered or extinct. Eight commercial fish species are currently overfished, but the fishing industry can only survive if marine biodiversity is protected. It’s time we got serious about protecting out biodiversity with robust, principled, scientific-based, enforceable laws for future generations.